You are going to Watch Naruto Shippuden Episode 309 English dubbed online free episodes with HQ / high quality. Stream Anime Naruto Shippuden Episode 309 Online English dub An A-Rank Mission: The Contest. Naruto arrives to help a team of Allied Shinobi Forces led by Karui, who are struggling against a reanimated samurai, whom Naruto recognizes as a man named Tatewaki he met on a previous mission. Naruto has a flashback to when Tsunade assigned Team 10 and Naruto to go to the Land of This and kidnap Shū, the son of the Feudal Lord under a treaty. Shikamaru formulates a plan to capture the Shū by having Chōji enter an eating contest at the Land of This’ castle and get second place. 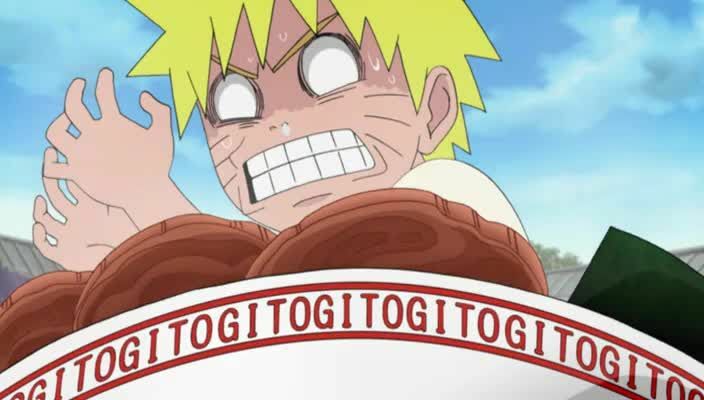 Chōji speeds through the competition, and before the final round, Ino uses her Mind Transfer Jutsu to take control of Shū and goes to the washroom in the castle, where Naruto uses his Transformation Technique to transform into Shū. When Shū is able to re-enter his body, he asks who Shikamaru is and Shikamaru explains the mission to him. Meanwhile, before Chōji can win the final round of the eating contest, Shikamaru uses the Shadow Possession Jutsu to stop Chōji from eating the last BBQ chicken and giving him in second place after Isono.